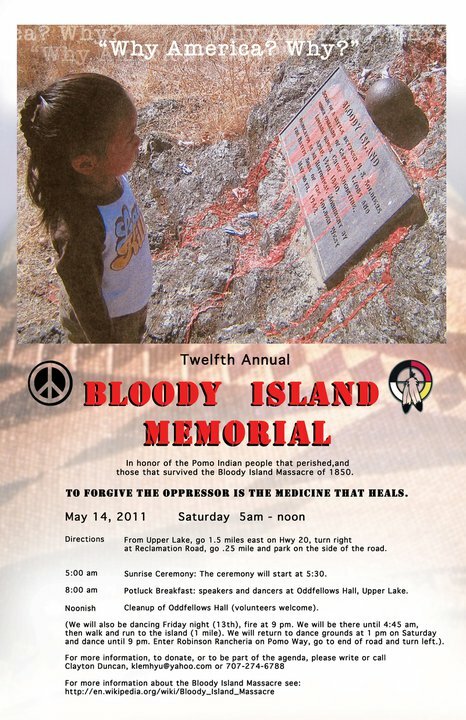 Today, a dozen participants from the Glen Cove spiritual encampment drove up to Clear Lake, CA to participate in the Bloody Island Memorial, an annual ceremony to honor of the Pomo Indian people that perished, and those that survived the Bloody Island Massacre of 1850. News has been added to the Protect Glen Cove website about two ongoing, eerily related struggles to protect ancestral burial grounds in Canada. In Alberta, the Cold Lake First Nation has established a blockade and is re-occupying an area of their traditional territory, where the government is trying to expand and further develop a Provincial Recreation Area. Cold Lake First Nation states that they are making a stand to protect burial grounds and many other culturally significant areas at the site. In Ontario, after 10 years of stonewalling, the City of Toronto has finally agreed to work with Haudenosaunee (Six Nations) representatives to protect and rehabilitate the “Snake Mounds” area, which contains more than four dozen ancient burial mounds and is located on city park land. 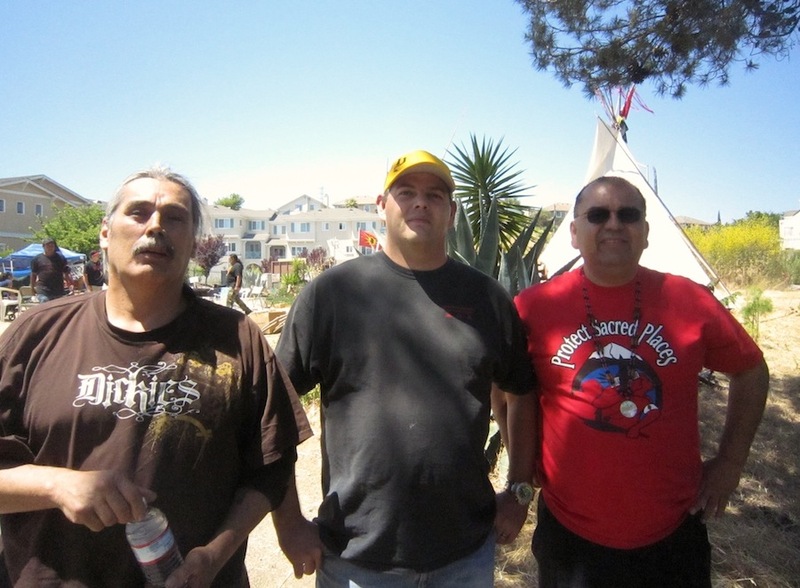 This agreement came only after Native groups announced their intent to occupy the site if the City continued to dismiss and ignore their requests. 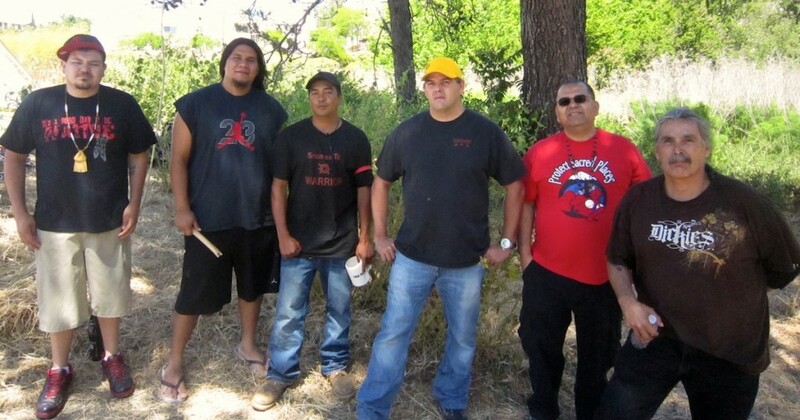 The courageous stand taken by these native communities to protect their sacred ancestral lands is an inspiration and a point of reference in our continued struggle to protect Sogorea Te. 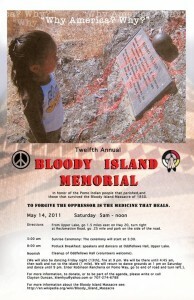 Native News Network 5/13: Glen Cove Protest Leader Visits “Huge International Stage” of U.N. Pit River representatives at Sogorea Te – Left to right: Jonathan Riggins, Louis Gustafson, Mickey Gemmill Jr, Don Hayward, Radley Davis, Jim Hayward. Awesome news!!! I love hearing about the tribes standing together to stand their ground!! !